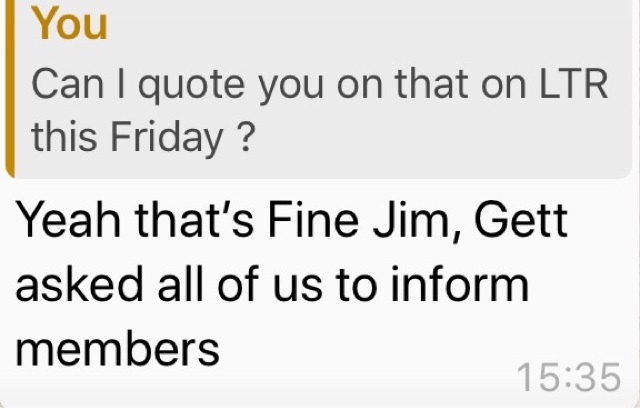 Taxi Leaks: Gett Taxi App Drops Massive Bombshell On Drivers, Threatening To Prosecute Under Data Protection Law. 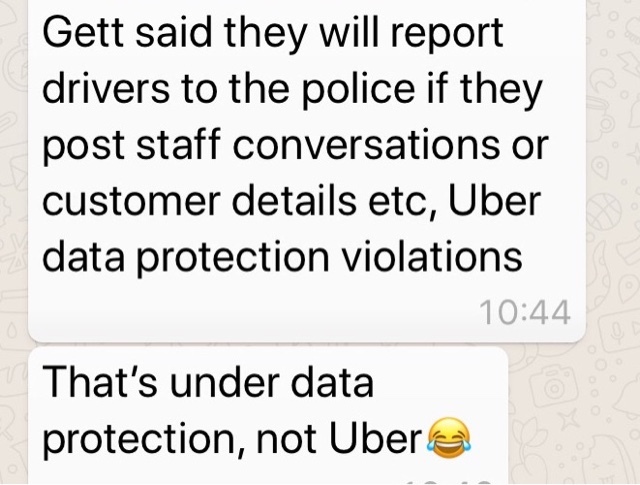 Gett Taxi App Drops Massive Bombshell On Drivers, Threatening To Prosecute Under Data Protection Law. 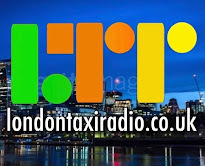 Every Taxi driver in London will be aware of Chris Johnson's crowdfunding issue, in his attempt to hold Taxi Trade Apps to account and protect the future working practises of all drivers working/using Taxi apps. 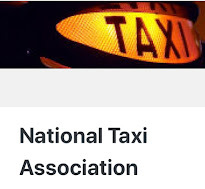 Chris's action has exposed the fact that drivers are not being represented fully by their orgs or unions allegedly because of the advertising revenue and paid for adverts in their respective trade publications. 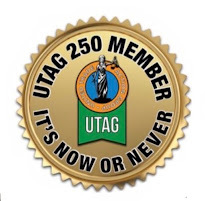 Unfortunately up till now, he has only been supported by a handful of drivers (354), interested in future protection of their working rights, raising just £9,284 of the £15,000 with just 27 days left to go. 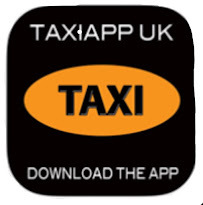 Taxi Trade App's Bombshell To Drivers. Shape of things to come??? 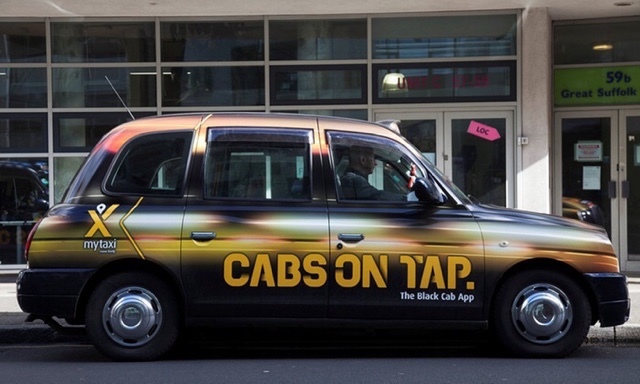 The trade orgs went to a meeting with the app providers earlier this week where the apps unleashed a bomb shell. 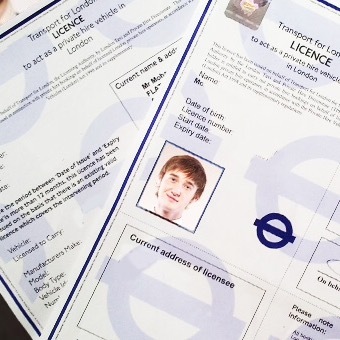 They have informed reps from the orgs that in future, they will be reporting drivers, posting any information about jobs (details, costs, commissions), conversation with passengers, conversations with app representatives.... On social media or in printed form, to the police for possible prosecution under data protection laws. • "I asked up the office why I wasn't being offered work and they said I had rejected too many jobs". 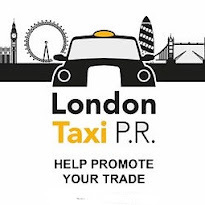 • No protection against being deactivated for asking awkward questions like how come this company can brake Hackney carriage law by offering jobs to drivers while outside their licence area. If Chris's action fails, there will be no checks and balances, no regulations in place in future to protect you while working on apps. With everyone saying that apps are the future (it's what the public want)...there is a possibility that most of the work will be on one app or another and street hails could eventually become very few and far between. 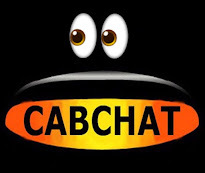 Take the scenario where a driver asks awkward questions and is deactivated and banned from an app...what's to say there won't be a black list and that driver will no longer be able to earn a living as a a Taxi driver because street hails have disappeared? Do you not think there should be regulation in place to stop this scenario from becoming a reality??? 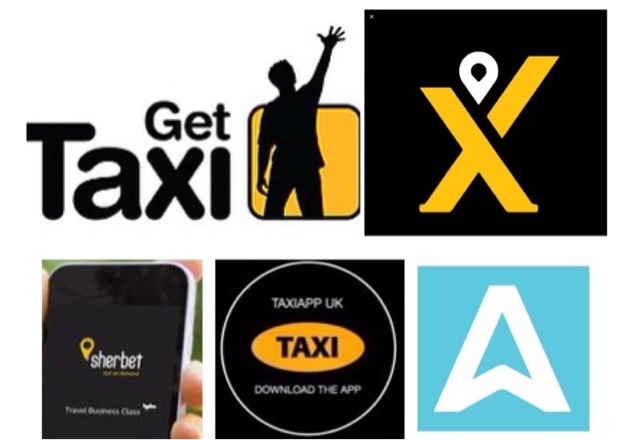 This action is not about changing your status from being self employed...as a Hackney Carriage Taxi driver, you will always be self employed. 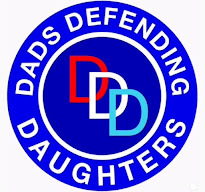 The action is solely about protecting your future working practises. It's not to late but you have to act now and support Chris Johnson.